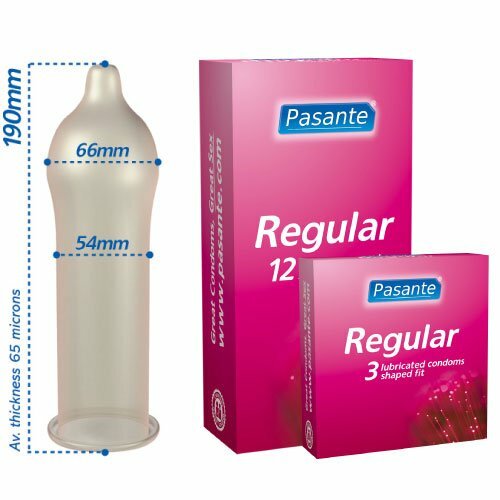 Pasante Regular condoms are shaped for a better fit . Nominal width 54mm Non-spermicidally lubricated. Transparent, teat ended condoms, made from natural rubber latex. Vi fokuserar på priser, kvalite och stora personligheter.